REALTY WORLD-Long Realty & Appraisal Service is located in the heart of the Pocono Mountains. The office offers a full line of real estate services including listings and sales of residential and commercial properties, vacation and yearly rentals, state-certified appraisals, and both seller and buyer representation. The office opened in 1974 as Byron Long Realty, joining the REALTY WORLD national franchise in 1995. Kevin Long being raised in the area has a vast knowledge of the local communities and towns with-in the Poconos. Kevin joined the firm in 1987, and became the Broker of Record in 1998. Mr. Long has earned the GRI (Graduate of the Pennsylvania Realtors Institute) designation and the ABR (Accredited Buyer Representative) designation. He is a member of the National Association of Realtors, The Pennsylvania Association of Realtors and the Pocono Mountain Association of Realtors. He is currently the chairman of the Tunkhannock Township Zoning Hearing Board and the President of the Tunkhannock Township Volunteer Fire Company. The office services a large geographical area in both Monroe and western Carbon counties. These areas include Lake Harmony, Split Rock, Albrightsville, White Haven, Blakeslee, Pocono Lake, Pocono Pines, Thornhurst, Fernridge, Long Pond and surrounding areas. 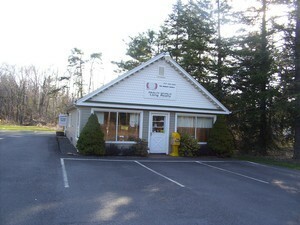 The office is located in Blakeslee PA, ¼ mile south of Blakeslee Corners on Rt. 115. The office is 1 mile north of Interstate #80 at exit 284 and 7 miles east of Rt. #476, exit 35.